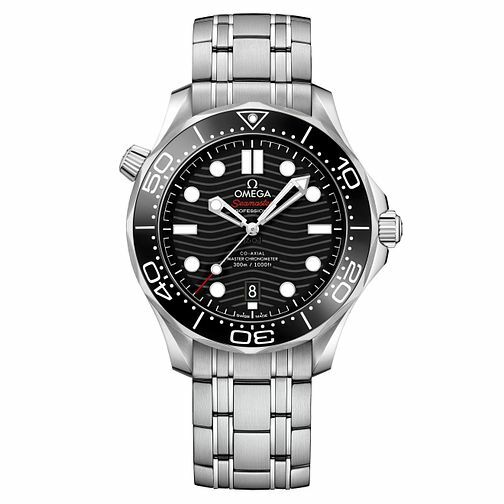 Omega presents the iconic Seamaster 300, designed especially for divers and individuals who need a timepiece that can withstand intense underwater conditions. The charming Omega Men's Seamaster 300 Master Co-Axial Watch boasts a matte black dial, silver tone hands and date window. The stainless steel link bracelet make for a comfortable and stylish fit. Water resistant up to 300 meters, this handsome yet functional Swiss-made timepiece is fitting for the modern man on the go.